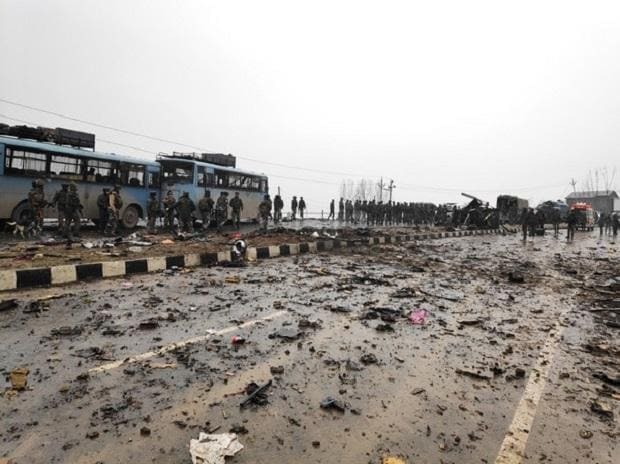 Forces have detained 23 men suspected of links to the Pakistan-based militant group that masterminded the bombing of a CRPF convoy that killed 44 paramilitary police, a top police official said on Sunday. The 23 men included members and sympathizers of Jaish-e-Mohammad, the militant group which has claimed responsibility for Thursday's attack, the deadliest on Indian security forces in decades. Representatives of India's National Investigating Agency (NIA) questioned the suspects about the bombing on Sunday, two security officials said. The officials say Umair had "radicalized and motivated" the Kashmiri school dropout who rammed a car laden with explosives into the convoy on Thursday. "They were looking for militants, as they said that they had information about militants hiding in the house," Malik said.